Ravi Shankhar was nominated for another Grammy in 2014. He died in 2012, at 92 years old. I was thinking about him, so I put together a few pieces to enjoy. His daughter is also exceptional and I have included her as well, but not her own modern work. She is playing classic music here. 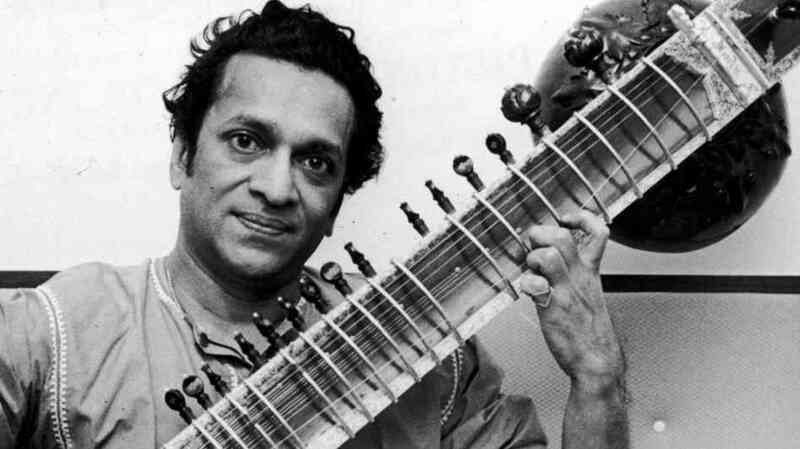 Ravi Shankar was a world-renowned musician, composer, performer, and scholar of classical Indian music. He is an important facet of classical Hindustani/Indian music, 20th century music and even pop culture. 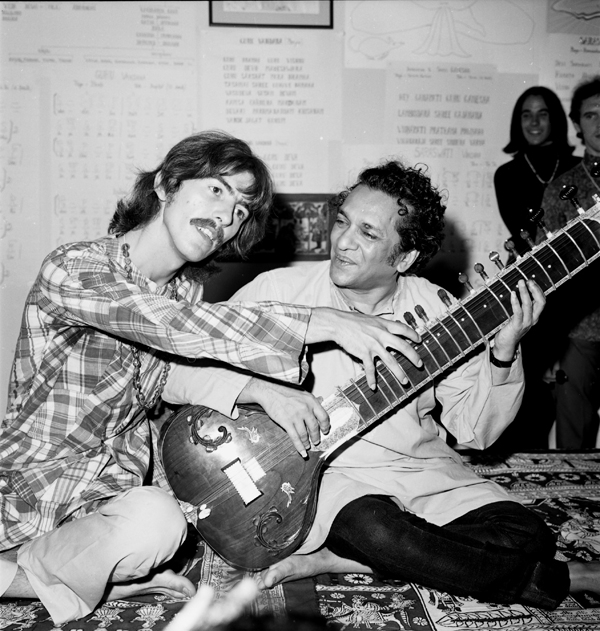 He came into prominence in the West when George Harrison took up the sitar. 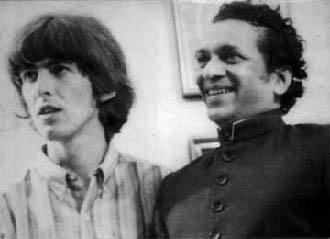 Harrison introduced Shankhar to Us in the 1960’s. They maintained a lifelong close relationship. They both devoted their lives and gave concerts for peace. Thus World Music began to blossom on the global stage. Long before it had a name. I have been listening Ravi Shankhar since I have had memories. My oldest sister loved his music, my father just cringed and tried to tolerate it from another room. There are seemingly countless works by Ravi Shankhar over his long career. I am not familiar with them, this is just a micro drop. I do know that old studio, analog, sitar recordings on CDs, especially on YouTube, are not appealing to my ear – they are too tinny to just to sit and enjoy. So, I have short segments of live performances here. Visit Ravi Shankhar’s site to hear a few truly beautiful pieces! They load with the pages. 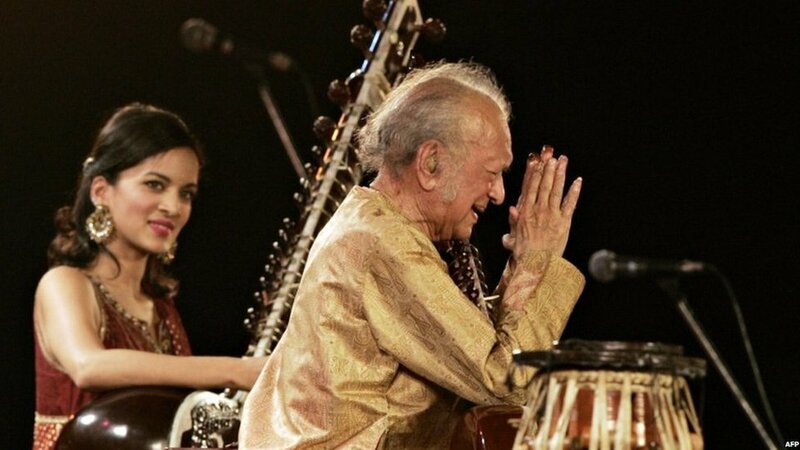 1997 As part of India & Pakistan’s Golden Jubilee celebrations, Pandit Ravi Shankar, accompanied by his daughter Anoushka Shankar, perform live for the BBC at The Symphony Hall, Birmingham.